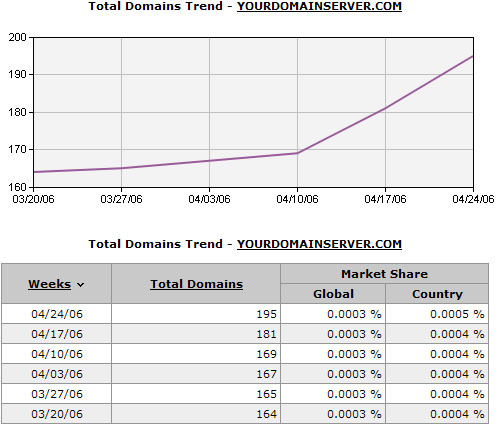 I was expecting to hit the 200 domains hosted on my server by the end of 2006. Looks like I hit it already even before the first half of 2006. Now I will target 400 domains hosted on my server then for 2006. It requires even more planning, and that is exactly what I am going to do.